Local landcare group, Watershed Landcare, held its Annual General Meeting last Friday, 23 November. The meeting was well attended and gave members an overview of Watershed’s activities over the past year as well as an opportunity to mingle and chat at the supper afterwards. Watershed Landcare Chair, Viviene Howard outlined the group’s 2018 activities and her presentation acknowledged and celebrated the contirbution of the organisation and it’s members to environmental and natural resource management in our region. “As Chair I’m continually surprised at how many people we touch in the community. As a group we have fantastic reach and do lots of great things for the environment as a result.” said Ms Howard. the Mudgee Small Farm Field Days program and members efforts in growing tubestock for sale at the event; adoption of a new constitution and 3 year strategic plan; new partnerships and maintaining sponsorship for Green Day and making sure the event is sutainable. The 10th annual Green Day got a special mention. The theme of this year’s event was waste and featured ABC TV’s Craig Reucassel as keynote speaker. It was the largest Green Day to date and Ms Howard thanked Green Day Coordinator, Beth Greenfield for her contribution. “It was an amazing event and supremely organised.” she said. The Communities of Practice groups, the Mudgee Microscope Group, Grazing Group, Women in Ag Group and Mudgee Bee Group, also remain a strong focus, bringing together diverse groups of people with similar goals. The 4 groups held 31 activities throughout the year focusing on members interests. The election of office bearers for 2019 was overseen by returning officer, Julie Reynolds. Ms Howard was re-elected as the Chair for the 2019 Commitee. Sonia Christie, Christine McRae and Hunter White will hold the positions of Vice-chair, Secretary and Treasurer, repspectively. Jane Young and Rosemary Hadaway will fill the other executive positions. The Watershed Landcare Committee meets at 5:30pm on the first Wednesday of the month. The new Executive Committee will hold it’s first meeting in February 2019. All Watershed Landcare members are welcome to attend. 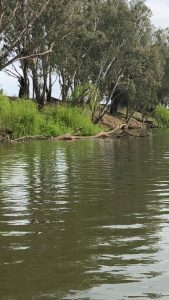 If you would like more information about any of our projects or would like to join one of our special interest groups contact our Coordinator, Agness Knapik, on 0435 055 493 or info@watershedlandcare.com.au. Keep an eye on our Catchment Corner column for news and upcoming events, workshops and seminars. Do you want to increase productivity, reduce operating costs and improve the land value of your farm? The Central Tablelands region is one of the most highly cleared areas of woodland in NSW. The Central Tablelands were once dominated by box gum woodlands. Due to extensive clearing box gum woodlands are now highly fragmented and have been declared threatened ecological communities. Roadside corridors are some of the highest value native vegetation remnants in our district. Not only do they provide corridors for the movement of wildlife and add to the picturesque aspect of our district, but they can also be used to extend their value onto your our own property. Roadside remnants can be utilised on your farm by allowing natural regeneration from the roadside vegetation to occur, planting similar species on your side of the fence, or establishing an internal network of shade trees, vegetation corridors or shelter belts. Farms with shade trees and shelter belts are more aesthetically appealing and attract a premium over average land values. 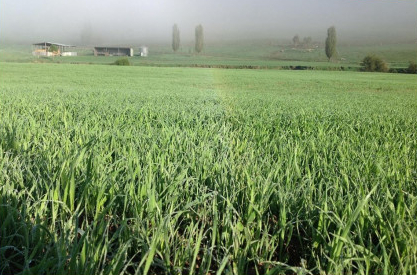 A survey conducted in the Central West indicated that farms with good quality native vegetation have a 15% increase on capital value compared to those without. Pasture productivity is increased by remnant native vegetation and established shelter belts. Native trees and shrubs provide habitat for birds, lizards and bats, the natural enemies of pasture pests. Pastures with some tree cover experience less soil moisture loss than those exposed to the full force of the wind. Cold and heat stress in livestock can significantly reduce farm income by reducing stock fertility, weight gain, wool growth, milk production, and increasing the mortality rate of calves and lambs and the susceptibility of stock to disease. Mature trees help to maintain and improve soil structure and fertility. Many mature trees on our farms reaching the end of their lifespan, and once they are gone so will the benefits they provide. Landholders can the maintain these valuable ecosystem services by encouraging native vegetation regrowth on their farms. Watershed Landcare would like to invite all members and the community to our Annual General Meeting. The meeting will provide an overview of Watershed’s activities over the past year as well as an opportunity to mingle and chat at the supper afterwards. Join us as we celebrate our activities and achievements of 2018! There have been a few; 10 years of Green Day, projects focusing on improving linkages between remnant native vegetation and serrated tussock management, workshops to propagate seedlings and bus trips to explore farms in our region and the latest innovation and practices in regenerative agriculture, among other things. Our guest speaker will be Beth Greenfield, our Pest Engagement Coordinator, who will talk about supporting landholders to manage invasive pests, including wild dogs in our area. We are seeking interested members to be involved in the Management Committee for the next 12 months. The committee meets the first Wednesday of the month at 5:30pm. The AGM will be held on Friday 23 November at the Lecture Room, The Pavillion at the Australian Rural Education Centre (AREC), 6-7pm followed by dinner. Want to find out more about Watershed Landcare, our projects and how you can get involved in this enthusiastic, grass roots community group? Come along for a fun evening and meet other Watershed Landcare members. All are welcome to attend the Watershed Landcare AGM. This event is free, but please RSVP by Wednesday 21 November for catering purposes to Claudia Wythes, Watershed Landcare Coordinator, on 0412 011 064 or claudia.wythes@watershedlandcare.com.au. A special resolution is also proposed for the meeting to accept an updated constitution. There have been a number of changes to both the Associations Incorporation Act 2009 and the Associations Incorporation Regulation 2016 that need to be reflected within our document. As such, the Management Committee have reviewed the proposed Constitution and recommend its adoption. Both the old and new versions of the Watershed Landcare Constitution can be viewed on our website: www.watershedlandcare.com.au. Don’t forget you need to be a current financial member to vote. Did you know that each year, Australian households generate around 13 million tonnes of organic waste and that about half of that ends up in landfill? Organic materials such as food scraps and garden waste breakdown to methane when decomposing without air in landfill conditions. Methane, a greenhouse gas, is 25 times more potent than carbon dioxide so reducing its emissions is an important factor in combating climate change. Landfill is the most expensive form of waste management and while it’s free to drop your rubbish off at the Mid-Western Regional Council waste stations, don’t be fooled – as ratepayers we fund the operation and maintenance of these facilities. Food waste is a large contributor to the organic waste going to landfill and, in many cases, can be avoided. ABC TV’s recently screened War On Waste series found that the average Australian family throws out 20% of the food they buy each week. That’s one in every five bags of groceries and equates to about $3,500 worth of food a year! Food waste can be divided into three categories: avoidable food waste (food that could be eaten); potentially avoidable food waste (food that could be eaten but is not commonly consumed e.g. pumpkin skins); and unavoidable food waste (food products that cannot be eaten). In addition to contributing to greenhouse gas emissions, throwing out food that could be eaten means that the resources used to grow it like water, fuel and fertiliser are also wasted. How can your household reduce food waste? We’ve all done it – raced into the supermarket on the way home from work, grabbed a lettuce to go in tonight’s salad only to find another one hiding in the back of the fridge going slimey when we get home. So the number 1 tip for households reducing their food waste is to look in the fridge and pantry before you go shopping, write a list and stick to it. As well as something you throw on the barbie, snags are trees and branches which fall into and lodge into streams and rivers and form an essential part of river ecology. Like coral reefs in the marine environment, snags are the place where the largest number and diversity of life is found in rivers and streams. In the past de-snagging was practised across Australian rivers; to improve navigation, reduce erosion and for flood control. It is now apparent that this practice not only damaged vital habitat for large native freshwater fish and other biota but, in some cases, also increased streambank erosion and downstream flooding. The removal of snags is no longer common practice but there are few remaining snags and the source of new snags, healthy, mature riparian vegetation, is also scarce along the banks of many our watercourses. Snags, or large woody debris, are a vital component in providing a variety of habitat structure in riparian environments. Some snags may be submerged in the sediment in deep pools while others may protrude into the air and provide a ladder between the water and streambank. Some rest in open, sunlit conditions, while others may be shaded or in darkness. Fallen trees and branches alter the flow regime around them; providing still pools or fast flowing eddies. They are integral in providing a refuge for aquatic organisms from faster currents in times of high flow and as nursery habitat. By trapping leaves, twigs, sediment and other organic matter they not only provide a rich reservoir of food but also create an abundance of nooks and crannies for small animals. Fungi and bacteria living on the surfaces of snags contribute to its breakdown and in turn become food for other microscopic life forms, macro-invertebrates and fish. So next time you see a bit of timber in your local watercourse think about the bounty of life that subsists in this rich and varied habitat. A one day event, to be held in Bathurst in November, aims to focus on the positive aspects of economic and environmental sustainability of farming in Australia. Organised by Greening Bathurst, the Our Farming Future conference will center on the themes of farming with nature and climate change. Regenerative farming, sustainable grazing, Aboriginal farming practices and ecological agriculture will be some of the topics covered. Dr Charles Massy, Cooma grazier and author, and Bruce Pascoe, Kulin man, farmer, fisher and author of ‘Dark Emu’, will be the keynote speakers. The remaining sessions will be presented by ten farmers from the region, including Colin Seis and David Lowe, sharing their good news stories. The one day conference will be held from 9am-5pm on Saturday 10 November at the Flannery Centre, 341 Havannah St, Bathurst. Conference registration is $50 ($25 concession) and includes lunch and web access to outcomes. Attendees are invited to stay for post conference drinks and finger food at an additional $20. To register online visit: www.greeningbathurst.org.au/events. to help make this happen we are organising a bus to Bathurst to make it easier for you to get there and enjoy the day. You can then stay on the for post conference drinks and network with other attendees before heading back home. The bus will leave Mudgee at 6:45am from the LLS office (112 Market Street) and depart from Bathurst at approximatley 7:30-8pm. The bus can do a pick up at Aarons Pass and/or Ilford if needed. The bus will be free for Watershed Landcare financial members and $15 for non-members. For more details or to reserve your seat please contact Watershed Landcare Coordinator, Claudia Wythes: claudia.wythes@watershedlandcare.com.au. Have you checked your hive? October is American foulbrood (AFB) awareness month. Run by the Department of Primary Industries, the campaign aims to raise awareness of the disease, its impacts and best management practice and to encourage beekeepers to inspect their hives. AFB is an incurable bacterial disease affecting European honey bee larvae. It is fatal to the brood and heavy infections can wipe out most of the brood, severely weakening, or even killing, the bee colony. 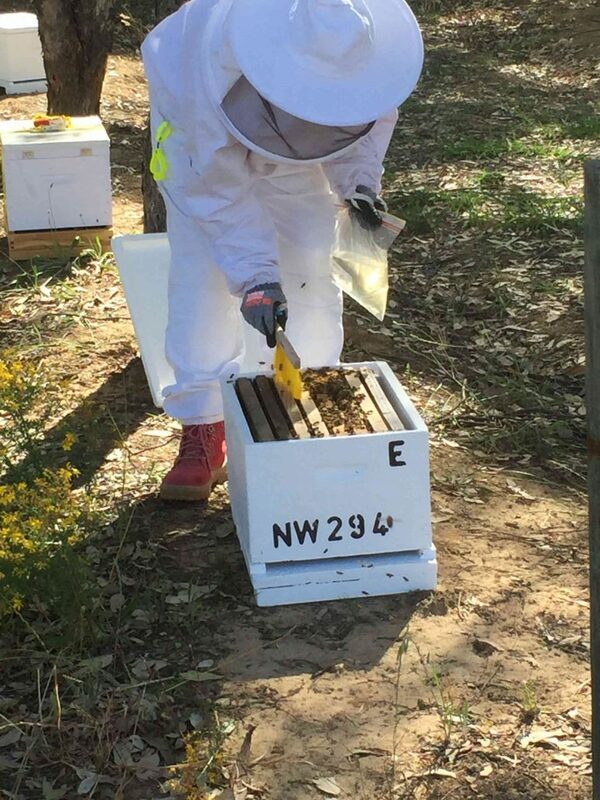 “Beekeepers need to be aware of what’s happening in their hive and this is a great opportunity for them to have a look and ensure they are disease free.” said Sandi Munro, Chairperson and Biosecurity Officer for the Mudgee BeeGroup. The disease is not highly contagious but can be contracted through poor beekeeping practices. AFB spores can be spread through contaminated honey, apiary products, hive parts and equipment and can remain viable for up to 50 years. AFB is not stress related and can affect the strongest colonies. As there is no cure, infected colonies and hives must be destroyed or irradiated to prevent potential impacts on a regions apiary industry. “Pest management and disease control is a must to ensure we protect our industry and the important role bees play in the broader agriculture.” said Ms Munro. Stay on Top: Beekeepers are encourage to inspect their hives in October to ensure they are disease free. Want to find out more about beekeeping and having your own hive? The Mudgee Bee Group provides training, peer support and mentoring to it’s members, both practising and aspiring beekeepers. The group also keeps community bee hives to provide novice beekeepers with an opportunity to gain experience in handling bees and hands-on experience in starting and maintaining a hive. If you would like more information about the Mudgee Bee Group please contact Claudia Wythes, Watershed Landcare Coordinator, on 0412 011 064 or claudia.wythes@watershedlandcare.com.au. You can also find us on Facebook: www.facebook.com/Mudgeebeegroup. The Mudgee Bee Group is supported by Watershed Landcare and the Amateur Beekeepers Association and is a part of the NSW Government’s Local Landcare Coordinators Initiative, supported through the partnership of Local Land Services and Landcare NSW. The Mudgee Bee Group and Watershed Landcare would also like to acknowledge support from AREC, for hosting the Mudgee Bee Group hives and providing a venue for meetings. http://watershedlandcare.com.au/wp-content/uploads/2018/11/hive_inspection_small.jpg 3264 2448 wslc http://watershedlandcare.com.au/wp-content/uploads/2016/12/logo-watershed-300x104.png wslc2018-10-19 10:04:412018-11-06 10:09:39Have you checked your hive? Whether you are planting paddock tress, windbreaks or just establishing a few natives in the garden, plants grown from seed of local provenance provide the best chance for success. The reason for this is that local plants are more suited to the local environment. They would have evolved over time to cope with environmental variables such as rainfall patterns, frosts, winter and summer extremes, soil types and landscape position. Watershed Landcare’s ‘Local Plants for the Local Environment’ project provided our community with locally grown, native tubestock as well as building their knowledge and skills to grow their own by selecting for viable seed, ensuring successful germination and giving seedlings the best start. not only look like they belong, but help to maintain the health of the local environment. Watershed Landcare volunteers identified suitable seed collection sites, conducted seed collection excursions and processed, propagated and grew 1100 plants. Eucalyptus, casuarina and hardenbergia species were grown from locally collected seed and additional acacia, angophora, brachychiton, callistemon, eucalyptus, grevillea, hakea and lomandra seed was obtained from other sources. 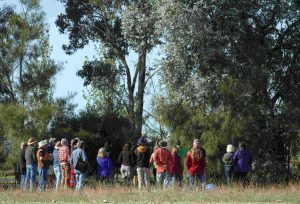 The mature tubestock was made available to Watershed Landcare members conducting on-ground re-vegetation projects as well as the wider community at the Mudgee Small Farm Field Days. A seed collection and propagation workshop was also run as part of the project, providing participans with hands-on experience of basic identification features of some commonly found local plant species; the tools and techniques required to select viable seed; timing, methods, storing collected material; equipment and processing of collected material; methods and materials for propagation and the best time to sow seed. Seed Collection: Participants learning how to collect and propagate native seed at the Local Plants for the Local Environment workshop. The emphasis of the workshop was to introduce people to a few tricks to ensuring a good germination, and doing so at low or no cost in terms of equipment. Participants also gained an insight into local plant ecology and had access to seed and material propagated on the day. Ever wanted to grow your own native plants? Our volunteers are busy growing the next batch of tubestock, contact us to find out how you can get involved: info@watershedlandcare.com.au. Drought not only affects the land, crops and livestock but also the outloook, not only of farmers and their families, but entire communities. When the season is tough, sometimes it’s easy to loose sight of the positive. Organised by Greening Bathurst, the Our Farming Future conference will center on the themes of working with nature and climate change. Bruce Pascoe, author of ‘Dark Emu’, and Dr Charles Massy, Cooma grazier and author, will be the keynote speakers. 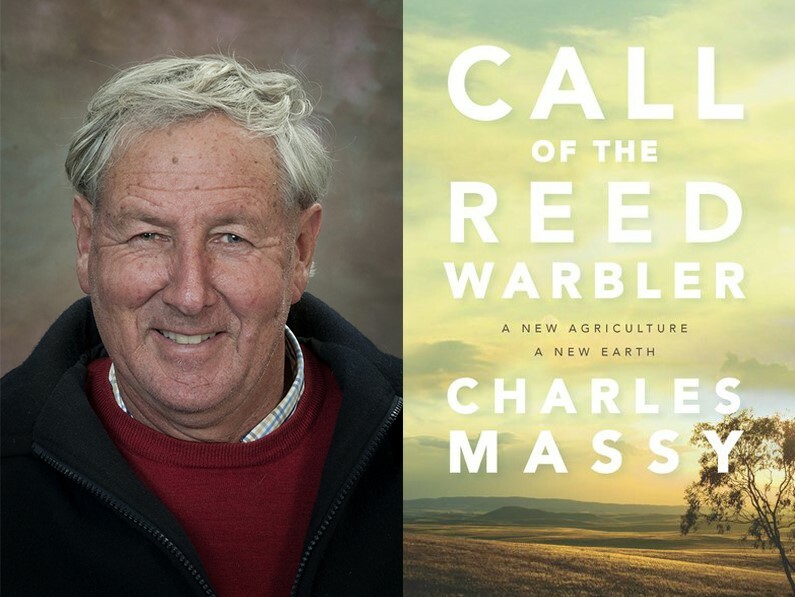 Charles Massy is a fifth-generation sheep grazier turned ecologist and his most recent book which explores regenerative agriculture in Australia through the stories of it’s innovative practitioners, ‘Call of the Reed Warbler’, has achieved wide acclaim. Ten farmers from the region will also be sharing their good news stories on the day. Watershed Landcare would like to support members of our community to attend the conference and we are offering 3 paid registrations for farmers from our district to attend. Please contact Claudia Wythes, Watershed Landcare Coordinator, to register your interest: claudia.wythes@watershedlandcare.com.au. Additional scholarships are available through Greening Bathurst. Contact greeningbathurst@gmail.com for more information. 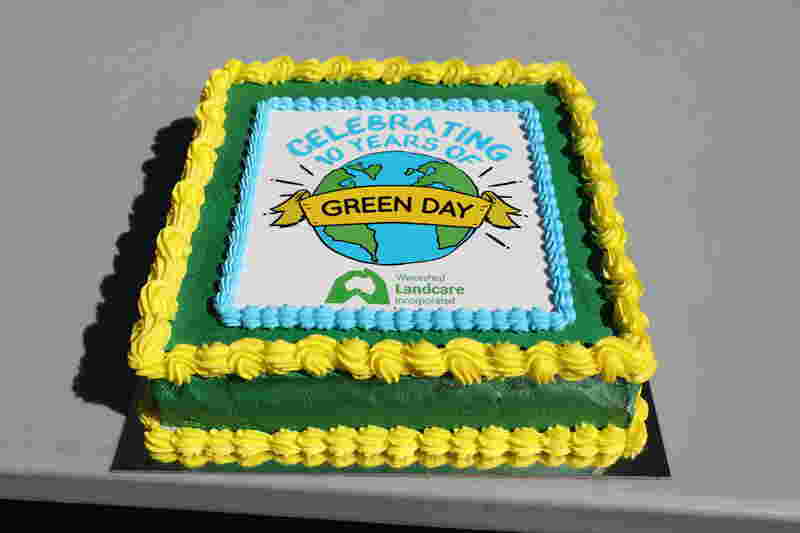 Watershed Landcare’s Green Day celebrated it’s 10th birthday last week. This year’s event was the biggest ever, with over 800 kids from 16 schools attending the environmental expo. Photo credit: Simone Kurtz courtesy of the Mudgee Guardian. On September 16, year 5 and 6 students from local schools visited the Mudgee Showground to experience a day centred around the theme Go WoW or Go Make a Difference – War on Waste. And we even had a celebrity special guest to help us celebrate. This year’s keynote speaker was Craig Reucassel, host of ABC TV’s Logie award winning series War on Waste. Craig’s humorous and entertaining presentation built on the topics explored in the TV series, such as food waste and packaging, and challenged the children to consider their impacts on the environment and consider alternatives. Students also participated in a range of hands-on and educational workshops centered around the themes of reduce, reuse, recycle and waste impacts. Over 30 presenters from organisations including Oz Harvest, Clean Up Australia, NetWaste and the Royal Agricultural Society of NSW gave the children a broad appreciation of the scale of the waste issue, the associated problems, and importantly, how they can do their bit to tackle the problem. “The feedback we have received from participating students and their parents has been very positive. There’s real enthusiasm from students, they get a buzz from the day and the take home messages stay with them for quite some time.” said Watershed Landcare Coordinator, Claudia Wythes. Green Day would not be possible without the generous support of our sponsors. Watershed Landcare would like to thank Central Tablelands LLS, Mid-Western Regional Council, Moolarben Coal Operations and Peabody Energy for their contribution. “A huge ammount of man hours, all voluntary, goes into organising Green Day. We would like to extend a huge thank you to all our speakers and volunteers for donating their time and making the event such a success.” said Ms Wythes. “Also a special thanks to the volunteers from Mudgee High School who chaperoned the school groups to their workshops. Even with a record number of kids, everything ran very smoothly and no one got lost.” she continued.